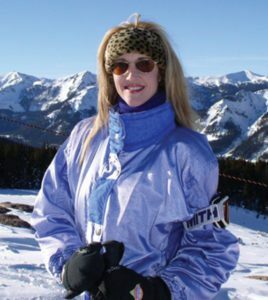 With an extensive background in real estate bro­kerage, development and marketing, Layne Poma was born and raised in Pagosa Springs and has worked with clients from around the world to assist them in buying and selling SW Colorado property. Layne attended the University of Arizona where she obtained a degree in International Finance, Communications and French and went on to work in New York City to pursue a career on Wall Street in Investment Banking, International Business & Real Estate Finance, before returning to her hometown roots in Pagosa Springs in 2002. As a third generation real estate Broker, Layne has over 27 years of real estate experience with homes, ranches, estates, land and commercial properties. She is constantly striving to share her knowledge and experience with her clients, and stay up to date on the latest education opportuni­ties and market conditions so that she is able to help her clients achieve their real estate dreams. In her spare time, Layne is very active in support­ing the Community through various organiza­tions, and enjoys the local arts programs, as well as horseback riding, golfing, tennis, hiking, skiing and snowmobiling.